Exclusive Moshi Monsters room item for all members, limited time only! Thread: Exclusive Moshi Monsters room item for all members, limited time only! We are very excited to offer this cool exclusive item for your monster's room! All members who complete their registration at Moshi Monsters Central by 11:59pm eastern on 11/30/2013 will receive a code for this item via PM in early December! Tell all of your friends before time runs out! 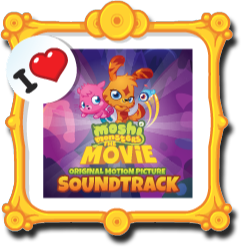 Re: Exclusive Moshi Monsters room item for all members, limited time only! Cool -- thank you very much for this! Excellent! Looks like a lot of fun. Wow, that looks awesome! Thanks so much!